Banca Transilvania Author (Wikicommons) License: All rights reserved. 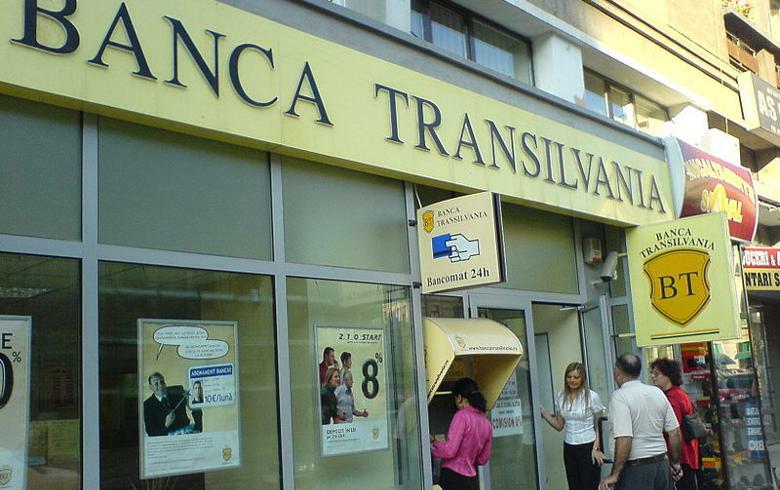 BUCHAREST (Romania), April 26 (SeeNews) – Romania's Banca Transilvania [BSE:TLV] said on Wednesday its net profit rose by 7.7% year-on-year in the first quarter of 2017, reaching 246 million lei ($59 million/54 million euro). "We had a good start this year, with results meeting our objectives and expectations. The outlook on Romania’s economic development encourages us to go on with our ambitious plans to grow and consolidate Banca Transilvania and the BT Financial Group," Banca Transilvania's management board chairman, Horia Ciorcila, said in a statement accompanying the bank's unaudited first quarter financial statement. Looking ahead, the bank will take advantage of the opportunities on the local banking market and invest in digitalization, Ciorcila added. The bank's operating income fell to 586.6 million lei in the first three months of the year, down 2.25% relative to the same period of 2016. At the end of March the bank's assets totalled 51.88 billion lei, up 0.23% year-on-year. Net loans increased to 28.1 billion lei, up 3.52% on the year. During the first three months of 2017, Banca Transilvania extended almost 36,000 new loans to retail, SME and corporate clients. Deposits from customers decreased by 0.23% year-on-year to 41.75 billion lei in the three months through March. The loan-deposit ratio increased to 73% in the first quarter, compared to 69% at the end of March 2016. Non-performing loans accounted for 9.22% of Banca Transilvania’s total loan portfolio at end-March, while their cover with related provisions and mortgage collaterals remains at a comfortable level of 64% and in line with the bank’s risk appetite. At group level, Banca Transilvania, which also includes BT Asset Management, BT Direct, BT Leasing, BT Securities, Factoring company, BT Finop Leasing and Medicredit posted a net profit of 266.9 million lei in the first quarter of 2017, up 15.53% on the year. Group assets totalled 52.1 billion lei at the end of March. Blue-chip Banca Transilvania is the largest Romanian privately-owned bank. It booked a net profit of 1.23 billion lei in 2016, as compared to record high 2.41 billion lei profit in 2015 following its merger with Volksbank. In January 2015, Banca Transilvania wrapped up a merger with Volksbank Romania (VBRO), which it bought from Osterreichische Volksbanken AG, Groupe BPCE, DZ Bank AG and WGZ Bank AG. Banca Transilvania's shares were traded 0.72% lower at 2.74 lei on the Bucharest Stock Exchange as at 1516 CET on Wednesday.